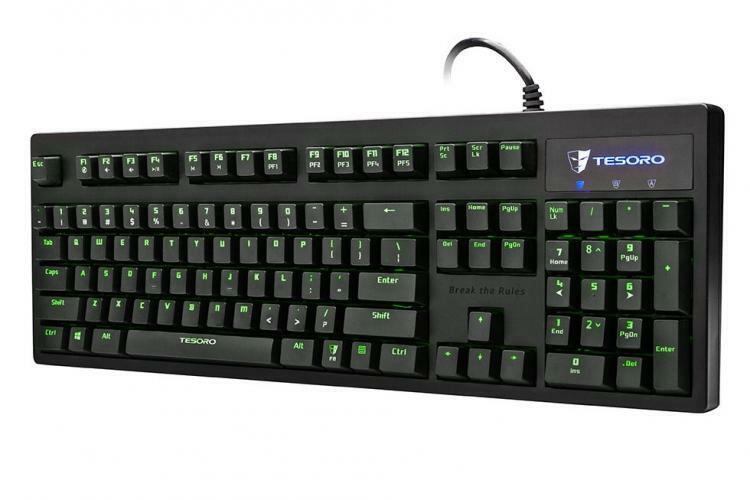 March 3, 2015, Milpitas CA, USA – Tesoro Technology USA Inc., announces the Excalibur Spectrum mechanical keyboard, featuring individual key-specific customizability in 16.8 million colors. The Excalibur Spectrum allows gamers to individually customize virtually any color, to any key. With 8 different LED effects, such as dimming, full zone, trigger, ripple, firework, radiation, rainbow wave, and per key customized mode as well as 5 levels of brightness and 5 distinct profiles to store them, there are endless combinations for a truly unique configuration. 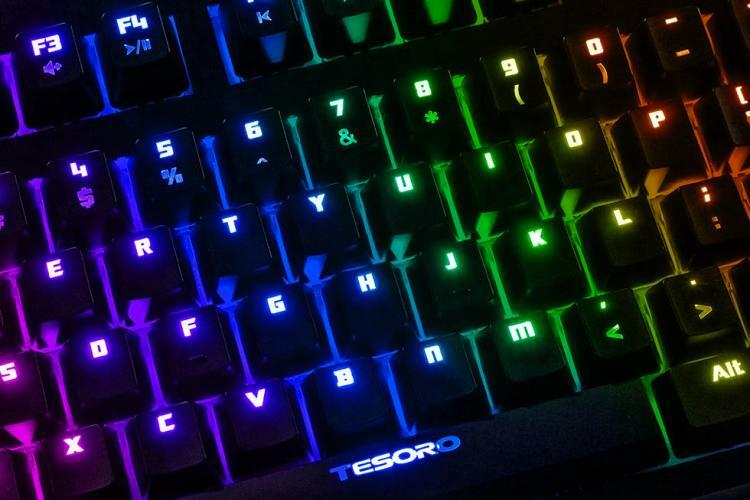 Allowing gamers to switch between N-Key Rollover (NKRO) and USB 6 Key Rollover, the Excalibur Spectrum has no ghosting or jamming issues to speak of, it polls keystrokes at a fast 1000Hz to ensure precision. With a quick set of hotkeys, gamers can jump between PC and Gaming modes to prevent any compromising accidental key strokes, and stay competitive. Gamers are able to instantly program macros on the Excalibur Spectrum with the help of newly designed software. Built-in storage gives players the freedom to carry their preferences with them, even on different computers, preventing any tedious reprogramming. The Excalibur Spectrum uses Kailh switches rated for 60 million keystrokes and rests on rubberized feet with tilt control, preventing slipping even during intense play. The Tesoro Excalibur Spectrum will be available in April in the UK at a suggested retail price of €129 / £89 in Kailh Blue, Black, Brown and Red mechanical switches.